When you need a tooth filled in a flash, Dr. Bowen will get your tooth from troubled to “thank goodness” in just one visit. 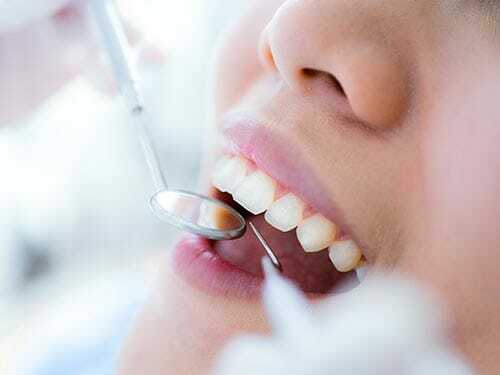 We prefer to use composite fillings at our practice since they look the most natural – they match the tooth shade, making them more aesthetically pleasing than metal fillings. Will my composite filling be permanent? Composite fillings are long lasting and quite durable, but replacement or repair may be required down the road. How will you place my composite filling? We will numb the tooth and remove any debris or decay. The open space will be cleaned and prepped for the filling. If the area is close to a nerve, we’ll apply medication for added protection against bacteria. Then the filling will be put in, shaped to fit perfectly, and polished to a smooth finish. Your tooth will be repaired and you’ll look and feel better. Will my tooth hurt post-placement? There should be no pain, but you may experience some heat and cold sensitivity. This will go away in a short period of time once your tooth gets used to the filling.